Lifeafar (Apartment International before) with more than 10 years of experience in Colombia helps its clients by providing the most comprehensive information available regarding furnished apartment rentals in Medellin. At The Apartment Medellin, we believe there is a growing need for a personalized luxury service for individuals who demand the best. We understand that your time is important and we aim to make the process of renting in Medellin easier than it’s ever been before. 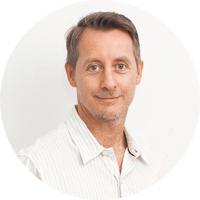 Andrew is an Australian entrepreneur with ten years of real estate market experience. In 2005, he founded the first luxury apartment rental business in Medellin, setting an industry standard that is still followed today. In collaboration with FAR International, Andrew and his team are proud to offer the most unique and comprehensive information regarding property investment and management in Medellin. Anyelo, originally from Medellin, studied graphic design at CESDE. 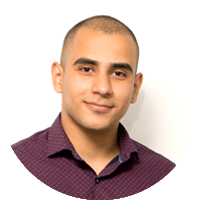 He brings his customer service expertise in the hotel sector to FAR’s property management team. As guest manager, he will play a crucial role with priority given to The Apartment’s guests and any related issues. 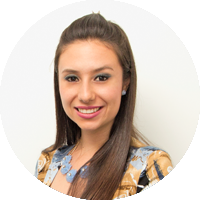 Eliana studied business administration at the Universidad de Medellin and later gained experience in the billing departments of companies such as Flamingo. 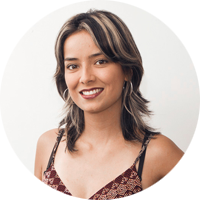 Yudy, from Medellin, studied fashion and textile design before becoming a member of the FAR team. 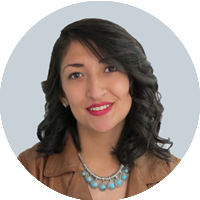 She has a diverse background in fashion design, education, and online businesses. In 2011, she gained even more interesting experience as the manager of geophysics and drilling services in the mining industry. She credits this position for equipping her with necessary customer service skills. In the future, Yudy would love to visit other countries. For now, she’s joined the property management and dedicated to helping it thrive. Her energy is contagious. Drop her a line here: [email protected] or give her a call at +57 (300) 826-4835. John lived in the United States for fourteen years before returning to Colombia. In Medellin, he attended Universidad Maria Cano where he majored in international business. As a FAR International employee, John has been instrumental in forging valuable relationships with local realtors and developers, and in making important business contacts. 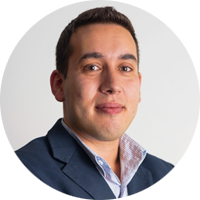 John has assumed the role of property manager for more than 65 property listings, no small feat as almost 50% of FAR International buyers desire a reliable property manager when they are not in Medellin. John continues to be a dedicated, honest, and dependable member of the international FAR community. 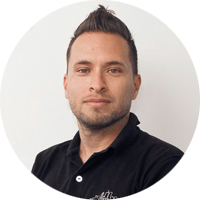 Freddy is a trained technician and sound engineer who lived in the United States for more than a decade before returning to Colombia to dedicate himself to guest services at FAR International. He’s the proud owner of several recognized hotels in Bogota. 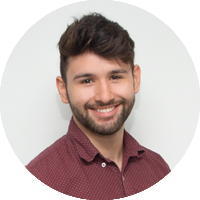 Francisco studied touristic administration and is currently finishing up his marketing degree at Universidad de Medellin. 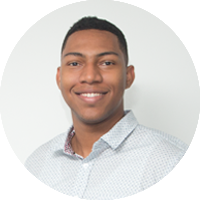 He brings a fresh perspective in digital marketing and sales and events logistics to FAR International as a technical assistant for the property management team. He’s also gained experience working with hotels and travel agencies. He’s not afraid of new technology tools or programming but has also been known to go analog from time to time and dedicate some time to playing basketball with friends when he needs a break. Cristhian, born and raised in Medellin, taught himself English. 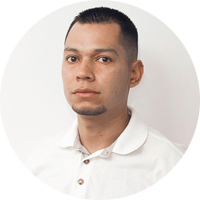 Prior to joining FAR International, he spent five years as a technical specialist for a company in the Monterrey electronics mall in El Poblado. He has been a great addition to the property management group, assisting in obtaining and preparing residential listings. He is fearless on his motorcycle, skateboard and on the soccer field. He brings that same quality to his work at FAR. Fausto was born and raised in Portugal, left to travel the world, and lived in several countries before finally settling in Colombia in 2014. He has years of experience in the international tourism and event management sectors, and thrives on the lively field of tourism management – his specialization. Rodrigo, un caleño de corazón, trae más de cinco años de experiencia en gestión hotelera a FAR. Mientras trabajaba en el extranjero en Chile, aprendió inglés, un esfuerzo que dio sus frutos una vez que comenzó a trabajar en la administración internacional de hoteles y restaurantes. 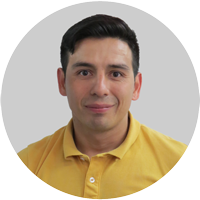 Rodrigo es un experto en servicio al cliente con un gran interés en cultivar la experiencia de los huéspedes de FAR.